We wish to thank Allen Thomas and Cameron Scadding (TSWTM Analytical) for assistance with ICPMS analysis and Celia Mayers and Brad McDonald for grain selection for thermochronology. Kind help from Wenjun Qu and Chao Li during molybdenite Re–Os analysis is gratefully acknowledged. Dr. Junxing Zhao provided useful discussion and comments. Dr. Diego Villagomez, an anonymous reviewer, and the Associate Editor Thomas Bissig are thanked for their constructive and valuable comments which greatly contributed to improvement of the manuscript. This research was financially supported by the Student Research Grant (Hugh E. McKinstry Fund of 2012) of the Society of Economic Geologists granted to X. Liu, and the Intellectual Innovation Project, Chinese Academy of Sciences (KZCX1-YW-15-3). Molybdenite Re–Os isotopic analysis on samples from the Dexing deposit was conducted at the National Research Center for Geoanalysis (NRCG), Chinese Academy of Geological Sciences. Analytical conditions and analytical procedures are the same as those described by Yang et al. (2005). Re and Os concentrations were determined by isotope dilution. The 185Re and 190Os spikes were obtained from Oak Ridge National Laboratory, USA, and calibrated at NRCG. Molybdenite was separated from six molybdenite–pyrite–quartz veins with more than 1.0 g molybdenite selected from each vein. Accurately weighed 0.2 g aliquots were selected from the <200 mesh material, loaded into Carius tubes, together with 185Re and 190Os spikes, and digested by reverse aqua regia. Os was separated as OsO4 by distillation at 105–110 °C and trapped by Milli-Q water. The residue solutions were diluted with distilled water and dried. The solids were then dissolved in a 5 M NaOH solution, from which Re was extracted by acetone. Re and Os isotopic compositions were determined using an Inductively Coupled Plasma Mass-spectrometer (ICP-MS, PQ Excell). The intensity of the 190Os signal was monitored to correct for trace Os in Re, and 185Re was used to monitor trace Re in Os. 5 % ammonia; and H2O2 were repeatedly used to wash the Teflon injection tube in order to avoid cross-contamination. The total procedural blanks were 20 to 30 pg for Re and 1 pg for Os, based on blanks analyzed with the samples. The background 187Os/188Os was 0.25 based on routine repeated blank measurement. The accuracy of the analysis was controlled by laboratory reference sample JDC (molybdenite from the Jinduicheng ore deposit, Du et al. 2004). Zircon and apatite (U–Th)/He thermochronology was performed in the John de Laeter Center for Isotope Research, Curtin University. Euhedral zircon and apatite grains were selected under a long working distance binocular microscope. Individual grains were visually interrogated in plain and cross-polarized light in order to detect and remove material containing U- and/or Th-rich mineral or fluid inclusions that may contribute excess helium. Measurements were recorded for each grain for calculation of the alpha correction (Farley et al. 1996), and images of selected grains were recorded digitally (Fig. 4). Grains with a diameter greater than 70 μm were preferred where possible in order to ensure helium gas values were optimal for measurement and to minimize the alpha ejection correction. Characterized grains were loaded into niobium (zircon) or platinum (apatite) microvials. Helium was thermally extracted from each individual encapsulated crystal using a 1,064-nm Nd-YAG laser. 4He abundances were determined by isotope dilution method using a pure 3He spike, calibrated daily against an independent 4He standard tank. Uncertainty in the sample 4He measurement was <1 %. For zircon, the U and Th content were determined using isotope dilution ICP-MS. Samples were removed from the laser chamber and transferred to Parr pressure dissolution vessels where they were spiked with 235U and 230Th (25 μl of a solution containing 15 ppb 235U and 15 ppb 230Th) and digested at 240 °C for 40 h in 350 μl of HF. Standard solutions were spiked and treated similarly, as were a series of unspiked reagent blanks. After dissolution, samples were removed from the pressure vessels and allowed to dry for 2 days. Three hundred microliters of HCl was added to each vial, which was then subjected to a second bombing for 24 h at 200 °C to ensure dissolution of fluoride salts. Final solutions were diluted to 10 % acidity for analysis on an Agilent 7500CS mass spectrometer (TSW™ Analytical). For single crystals digested in small volumes (0.3–0.5 ml), U and Th isotope ratios were measured to a precision of <2 % (Evans et al. 2005). Repeated measurement of internal age standards by zircon (U–Th)/He methods at Curtin has an estimated precision of <6 %. For degassed apatite, the U and Th content were determined by isotope dilution using 235U and 230Th spikes. Twenty-five microliters of a 50 % (by volume; approximately 7 M) HNO3 solution containing approximately 15 ppb 235U and 5 ppb 230Th was added to each sample. The apatite was digested in the spiked acid for at least 12 hours to allow the spike and sample isotopes to equilibrate. Standard solutions containing 27.6 ppb U and 28.4 ppb Th, were spiked and treated identically to samples, as were a series of unspiked reagent blanks. Two hundred fifty microliters of Milli-Q water was added prior to analysis on an Agilent 7500CS mass spectrometer. U and Th isotope ratios were measured to a precision of <2 %. 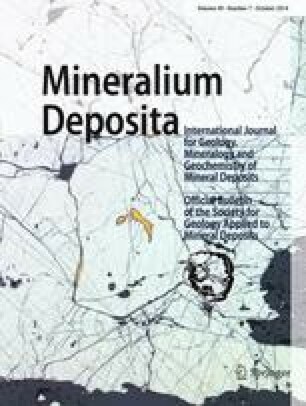 Overall apatite (U–Th)/He thermochronology analysis at Curtin has a precision of 2.5 %, based on multiple age determinations (n = 26) of Durango standard which produce an average age of 31.1 ± 1.0 (2σ) Ma.